Do you use email marketing in your business? If so, you may be tired of having to get up every single day and try to create some content to send out on a daily basis. Did you know that there is a way you can create all of your content and have it go out automatically? Through the use of an autoresponder you can place all of your emails into it and have them delivered at specific times. In addition, you can create an opt-in form which will allow new subscribers to get a predetermined email campaign. This is a great way to introduce new customers and leads to your business and products. Let’s take a look at how an autoresponder can help you get more clients and sales. If there is one thing we know about customers is the fact that they hate getting sold to. It is absolutely essential in today’s business to seem as “non-salesy” as possible. And one of the best ways to do this is by genuinely helping our leads. We can do this with great content that will help them and our product or business will allow them greater success. One of the first things you would need to do is create a lead generator. This is going to be something that you create that is going to help your clients. Let’s look at this from a weight loss clinic. They may be in the same situation as you and wonder what is an autoresponder and how can it help us. Well, they are going to begin by creating a great piece of content of ten foods that will help you lose weight quick. Individuals will land on this page and opt-in to an email list of the autoresponder. The autoresponder captures the individual’s name and email and will send out the report. Now that the autoresponder has the individuals name and email it can begin to send out emails. These emails need to focus on helping and not selling. These emails will be sent out automatically to the individual until they unsubscribe from the list. If the emails are helpful and build trust, they will stay on the list. Over time when trust has been built the weight loss clinic can begin a soft sell on a product or service. What makes autoresponders so invaluable? Everything can be created once and it is a “set and forget” business model. Of course, you can always add emails into the mix at your will and do a daily blast. This is great if you want to capitalize on a trending topic or have a sale you want to introduce. An autoresponder will become an invaluable tool for your business. While this gives a basic rundown of “what is an autoresponder”, there is much more to it. It is best to research the various platforms on the market and understand their true power. Regardless, these are one of the best tools to have in your business arsenal! 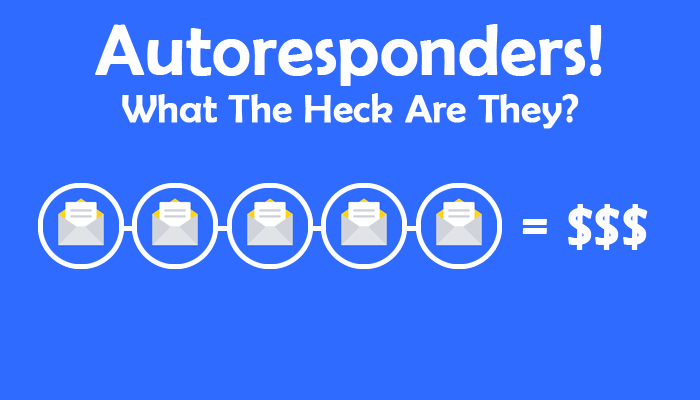 Be the first to comment on "What Is An Autoresponder And How Can It Help Me?"